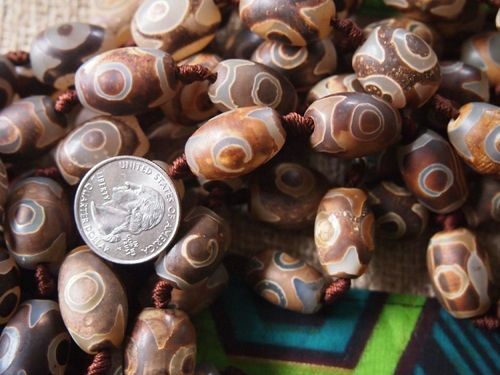 These dzi-style aged agate barrel beads are etched to produce stunning crackled patterns symbolic in Tibetan Buddhism. 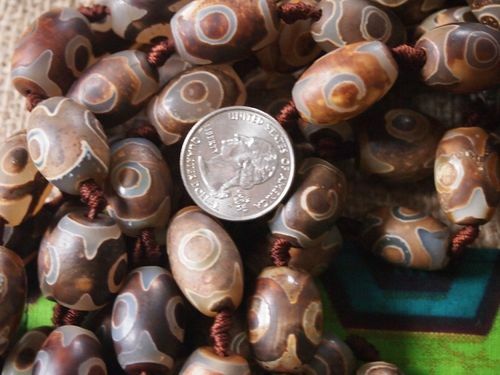 The 3-eye Tibetan agate barrel beads are sold by the 12-bead strand. The beads measure approximately 15x22mm with a 3-4mm hole. 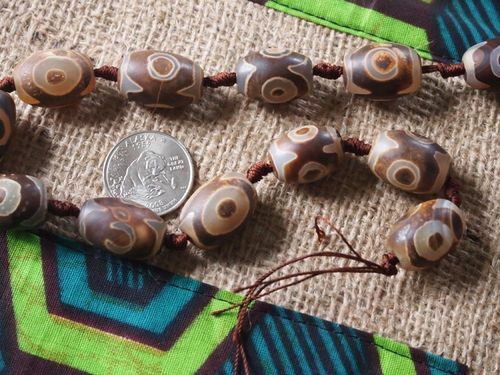 These unique Dzi style aged and etched agate beads can add a mystical and ancient flair to your jewelry projects. 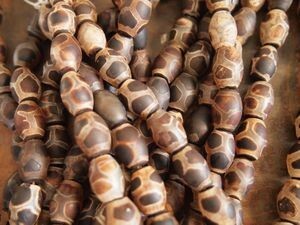 Please note that we have other patterns in these aged agate beads as well. Be sure to see them all! Please note that there may be some slight size and shape variation. 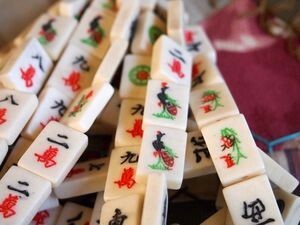 These are modern beads that are made to look ancient.